Georgia and her husband met as patients in a sleep disorder clinic. Three years later they leave their Illinois lake home in scandal and disappointment looking for a fresh start in Miami. The characters are all fully flushed. The threads of family, sleep deprivation, healing art, and the changing barometer are woven in a ratcheting tension, ultimately relieved by the calm after the storm. "An intelligent page-turner about, among other things, South Florida, art, insomnia, and marriage." -- Curtis Sittenfield, author of Prep and Sisterland. 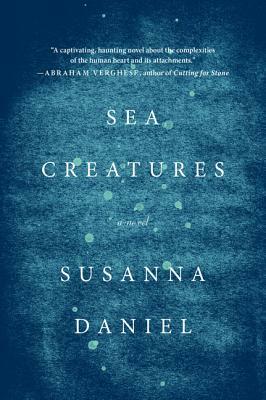 In Sea Creatures, a riveting domestic drama by Susanna Daniel, a mother must make the unthinkable choice between her husband and her son. Susanna Daniel was born and raised in Miami, Florida. Her first novel, Stiltsville, was awarded the PEN/Bingham prize for debut fiction. She is a graduate of Columbia University and the Iowa Writers' Workshop, and lives in Madison, Wisconsin.